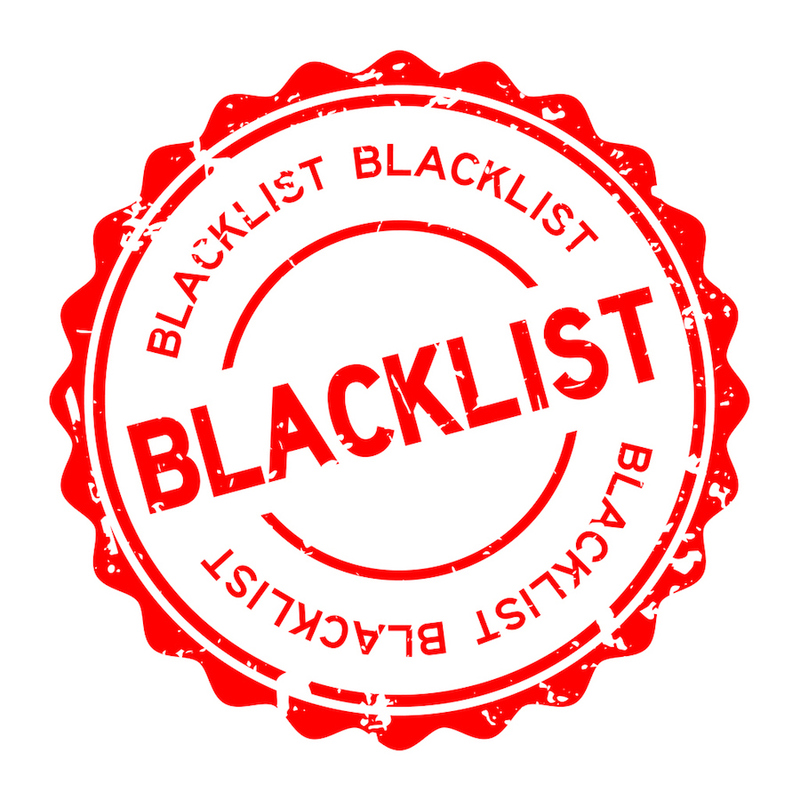 Would you work for someone if you knew it would get you blacklisted? No matter why you worked for him? No matter how much good you did? Would you risk the rest of your career for a few years in government? Left-leaning groups have compiled a blacklist of Trump employees and sent it to major U.S. corporations. The list includes employees working in areas related to immigration, including the DOJ and HHS. They are being targeted to protest the administration’s practice of separating children of illegal immigrants and asylum-seekers from their parents when they cross over the border from Mexico. In 2015, Obama introduced the Family Case Management Program, which separated primarily women and children from the fathers and husbands. Certain types of “families with certain vulnerabilities, including pregnant or nursing family member” could be housed in shelters instead of incarcerated. A child could be removed from his or her parents for “concerns over the health and welfare of a child or medical concerns.” If the parent had a criminal record, the children would be separated from that parent. A former Obama official, Cecilia Muñoz, admitted that 20% of the kids who were placed in Border Patrol lockups were not reunited with their parents. The left-leaning media has gone to a great extent to try and pretend that Obama did not separate these children from their parents. The problem arose with the 1997 Flores settlement. In it, the government agreed not to detain unaccompanied illegal immigrant children beyond 20 days. It said nothing about accompanied children. The Ninth Circuit ruled that accompanied children also must be released. This meant that entire families must be released — thus escaping prosecution — or detain the children separately. Last June, Trumps asked Democrats in Congress to help fix the failed policy. “I hate the children being taken away,” he said. “The Democrats have to change their law. That’s their law.” Democrats refused to work with the GOP on it. So on June 20, 2018, Trump signed an executive order ending the practice. “President Obama had child separation,” Trump said earlier this week. “I’m the one that stopped it.” From then on, families were detained together. Children who had been detained separately from their parents were reunited with them. Many of the employees on the blacklist had nothing to do with the policy. They are being punished for decisions made by others. Does anyone really think Sarah Huckabee Sanders, the White House press secretary, had any say in the policy? And how are they guilty of a problem they inherited? And what about the fact Trump ended the practice almost a year ago? Even if these people are guilty (they aren’t), how are they guilty now that the problem’s been fixed? Is is really necessary to punish people for a policy that was rescinded? What about all of the Obama officials who were involved with the policy? Why aren’t any of them blacklisted? The lefty groups behind the blacklist don’t care about the facts. They are using the policy as a ruse to blacklist prominent people on the right. It is a cruel tactic to do to people who merely accepted jobs in government. Matthew Albence, Executive Associate Director, Immigration and Customs Enforcement; Nathalie Asher, Acting Executive Associate Director, ICE Operations; Alex Azar, Secretary of Health and Human Services; Matthew Bassett, Assistant Secretary for Legislation, HHS; Rachel Brand, former Associate Attorney General; Joseph Edlow, Deputy Attorney General; Eric Hargan, Deputy Secretary, HHS; Gene Hamilton, Counselor to Attorney General, DOJ; Jonathan Hayes, Office of Refugee Resettlement, HHS; Thomas Homan, Former Acting Director of Immigration and Customs Enforcement; Sarah Huckabee Sanders, Press Secretary; Sarah Isgur Flores, Former Spokesperson, DOJ; Lynn A. Johnson, Assistant Secretary for Family Support, HHS; John Kelly, Former White House Chief of Staff and Secretary of Homeland Security; Kathy Kraninger, former Associate Director for Government Programs, OMB; Scott Lloyd, Former Director of the Office of Refugee Resettlement; Kevin McAleenan, Commissioner of U.S. Customs and Border Protection; James McHenry, Director of Office of Immigration Review, DOJ; Stephen Miller, Senior Advisor to the President; Kirstjen Nielsen, Secretary of Homeland Security; Carla Provost, Chief of U.S. Border Patrol; Jeff Sessions, Former U.S. Attorney General; Judy Stecker, Assistant Secretary for Public Affairs, HHS; Jallyn Sualog, Deputy Director of Office of Refugee Resettlement, HHS; Ronald Vitiello, Acting Director of Immigration and Customs Enforcement; Steven Wagner, Principal Deputy Assistant Secretary for Administration for Children and Families, HHS; Maggie Wynne, Counselor for Human Services Policy, HHS.